While it may not seem like much, scheduling an appointment with an audiologist is a great step to your path to better hearing. Both you and the audiologist want the same thing, which is to achieve the best possible hearing experience for you. The audiologist is a healthcare professional with the skills to make this happen – with your help. Providing the audiologist with detailed background information helps them to match your needs with the most appropriate hearing aid. While your audiologist will guide and support you throughout the process, you may feel better preparing beforehand anything you can for the appointment. What does this mean in practical terms? Here are our suggestions. Some conditions, like diabetes and heart disease, can impact your hearing. Again, your audiologist will benefit from knowing your medical background. Your audiologist will use your medical history to put together a picture of what your hearing health is. This may include any other health issues tied to hearing loss. What do you love doing in your spare time? Whether it’s singing in a choir, swimming, watching movies or dining out, your hobbies can have an impact on your hearing. Your audiologist will want to know what kinds of activities you enjoy to not only treat your hearing loss, but help preserve and protect the ability you have left. What aspect of hearing do you find most difficult? For example, you may struggle to hear against background noise, have difficulty with phone calls or can’t hear the grandkids in the back of the car. Again, this helps put together a complete picture of your hearing health and allows the audiologist to better recommend a solution. Brainstorm any nagging questions you may have about your hearing and write them down. 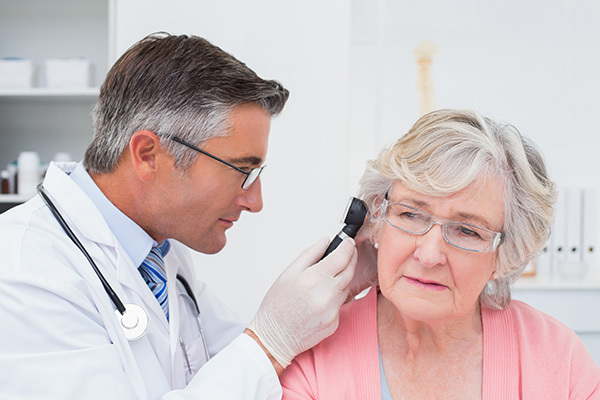 The audiologist wants to help and is the right person to give you these answers! While research can be helpful, it’s nothing you want to stress about. If you’re concerned about hearing aids, feel free to do a little research about these devices. It’s a good idea to know what you like or dislike in a device in the event your audiologist recommends one. Arrange for a friend or family member to go with you to the appointment. When it comes to learning about your hearing loss or hearing aids, two pairs of ears are better than one. There can be a confusing amount of information to take in at once and your friend may pick up on things you missed. And don’t worry, audiologists welcome you bringing a companion, so it’s something they’re used to. Whatever preparation you do or don’t do, know the audiologist is there to help. Don’t feel bad if you forget to do research or feel shy about sharing details, however, if you can it will help the audiologist to help you.